My friends, October is in full swing and the temperatures are starting to cool down and before we know it we will be deep in winter. And let's just say winter and my skin don't get along. I have dry skin throughout the year but in the winter it is extra dry. I have tried many lotions but let me tell you the body shop shea body scrub is my true saviour in the winter. It is extremely hydrating to the point that you really don't need to moisture afterwards if you don't want to. 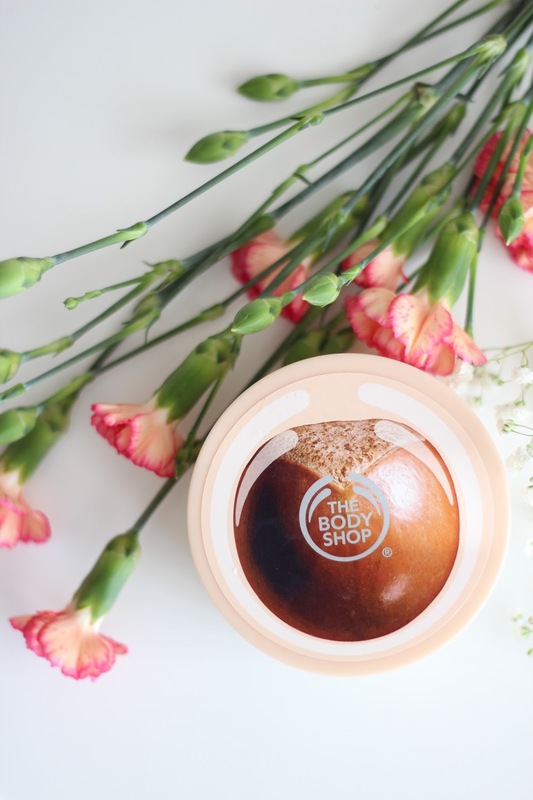 The body shop shea body scrub comes in a 200ml container with a top screw lid for $20 CAD. It gently exfoliates the dead skin cells away revealing a hydrated and glowing skin. It contains organic sugar and organic soy oil along with shea butter which all work to moisturize, nourish, protect, repair and exfoliate the skin. omg this looks so good. I might just jump in the shower and use my scrub! I love the Body Shop! Great review! I love body butter tubs. Will definitely check this one out at TBS on my next visit to the store. I love body scrubs! I have been making my own lately. Shea butter is a such a wonderful ingredient. That is something I have only used in my body butters, but I will have to try it in a sugar scrub too. 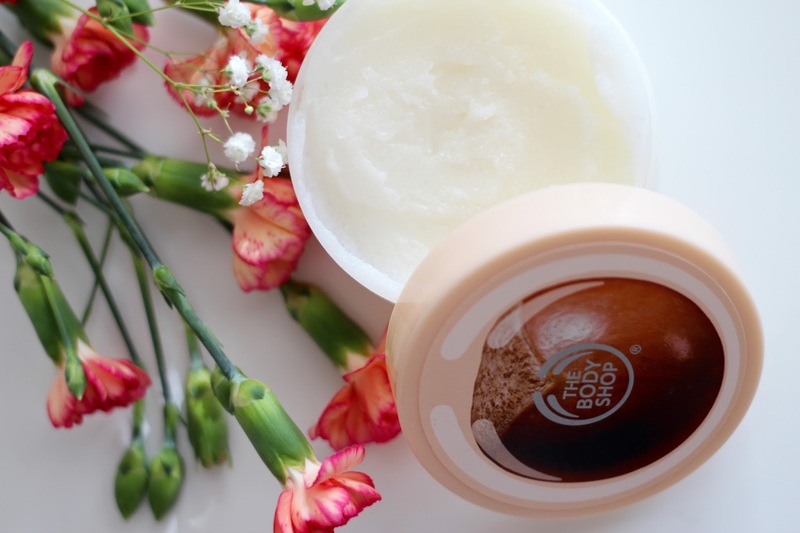 Beautiful photos of this body scrub :) I have to try it! I have only tried a few products from the Body Shop and I don't know why? All I hear is good things about it, many involving this particular scrub! I guess this is a sign I need to get it :p Thanks for the review! I love using The Body Shop's shea butter products! Thanks for this wonderful review, will try this one as well! Thanks so much for the recommendation! I have such dry skin in the winter and I'm always looking for new products to try! This one is on my to-try list now!